Four of the top 10 cities with the most expensive rental accommodations for foreign expats are in Asia, an increasingly popular expat location, according to a new report. Asia is becoming increasingly popular with expats from Europe and the United States with many major firms setting up offices in Hong Kong, China, Japan and India, but they are paying more for a place to stay. 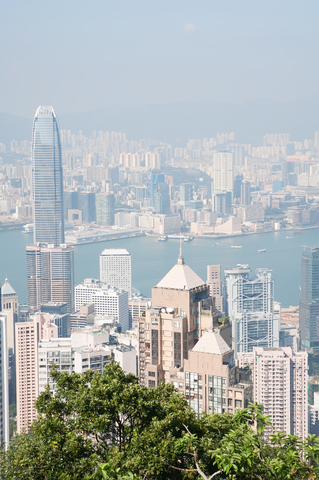 New data from ECA International, a global consulting firm that provides housing data from 180 of the most common locations across the world for international assignees, shows that Hong Kong is the most expensive place to rent accommodation. Tokyo, Singapore and Shanghai also rank in the top 10 most expensive rental markets at number six, seven and nine, respectively. Moscow, Caracas, Venezuela, New York and London, as well as Bogota and Lagos also had top rents. Karachi in Pakistan had the lowest rents recorded by ECA. Across Asia, the average monthly rental price for a three bedroom property is $3,600, above the global average of $3,000, according to the ECA which made the calculation using data from September 2013. In Hong Kong an unfurnished three bedroom apartment in an area of the territory popular with business expats averages $11,440 per month. The average rent for a similar apartment in New York City, for example, costs $9,200 per month. The report says that rental prices in Tokyo have increased by 6% since September 2012, as confidence returned to the housing market alongside a turnaround in the economy. However, a weaker yen has meant that the rental cost fell by about 15% when converted into US dollars. Ongoing demand in Singapore for high end properties resulted in a 4% rise in rental prices during 2013. China is a mixed bag, according to the data. Rental prices have stayed fairly even, and high, since 2012 in Shanghai and Beijing, with neither city seeing rises greater than 3%. But demand for expat housing in the cities of Shenzhen and Suzhou have seen rents rise by 9% since 2012. The largest increase in rent during 2013, a rise of 50%, was in Caracas due to the country’s rampant inflation that is keeping the cost of building materials high and stagnating much needed construction. However, the Venezuelan currency’s depreciation means that the increase is not substantial when converted into US dollars. Economic prosperity and increasing numbers of business expats relocating to Dubai have resulted in a 32% rise in rents and rents increased by 29% in Sao Paulo due to the increasing presence of international businesses and property construction and renovation ahead of the 2014 World Cup. The most pronounced rental price drops were in Dakar, Senegal, a fall of 18% in 2013 and large decreases were also observed in Barcelona and Madrid, at 11% and 7%, respectively. The impact of currency fluctuations should not be underestimated when assembling accommodation packages for assignees, according to ECA accommodation services manager Alec Smith. ‘Depending on how companies provide housing or allowances to their expats, major currency movements can have a big impact on costs,’ he said. For example, rents in the South African cities of Johannesburg, Cape Town and Pretoria increased by between 4% and 8% in local currency terms. However, all have dropped in ECA’s global ranking when prices are converted into US dollars for comparison, because the South African rand weakened against major currencies during 2013. Still another example is Sydney, the most expensive location for rental accommodation in Australia. Rents for a three bedroom apartment there have gone up around 3% since 2012 but when converted into US dollars for comparison, rental prices actually dropped by 10%. For lower cost accommodation in Asian region, one can consider Malaysia, Thailand, Vietnam, Cambodia, Myanmar! People still live her for various reasons. Day to day expenses in Hong Kong are very high, but the business opportunities in this area are also quite high , so it makes the balance. At least for entrepreneurs .